What better way to celebrate Easter than with the candy-colors of springtime? Think you're too old for an Easter basket? Think again! 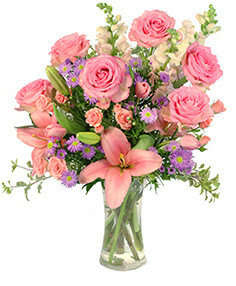 Order a lush basket of Easter flowers from EXOTICA THE SIGNATURE OF FLOWERS for yourself or any bunny who needs a little pick-me-up! Whether your style is bright and cheery gerbera dasies, or powdery pastel lilies, this Houston florist has you covered! 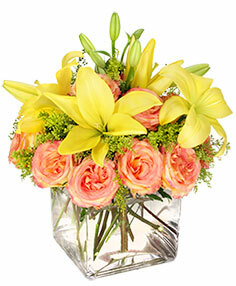 Exotica the signature of flowers can help you with any special holiday need. 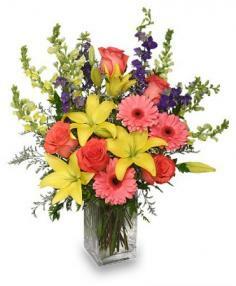 We offer candy baskets, junk food baskets, Holiday food baskets, centerpieces, and floral gifts. When ordering any food basket, please allow at least 24hr notice, so that we can deliver the freshest product available. If you need a centerpiece for the Holidays, please give us a call, so that we can deliver a beautiful arrangement to accent a party that you may be hosting or as a "thank you" gift to a friend or co-worker.